Even on holidays like this one, I usually would post an outfit post or something of that variety. Today on the other hand, I was forced to take a break. Not necessarily because I wanted to, but because when I returned home from Seattle on Friday I was met with no AC and no internet. A power surge occurred during a big Dallas storm while I was away, so I’m currently typing this from Starbucks! 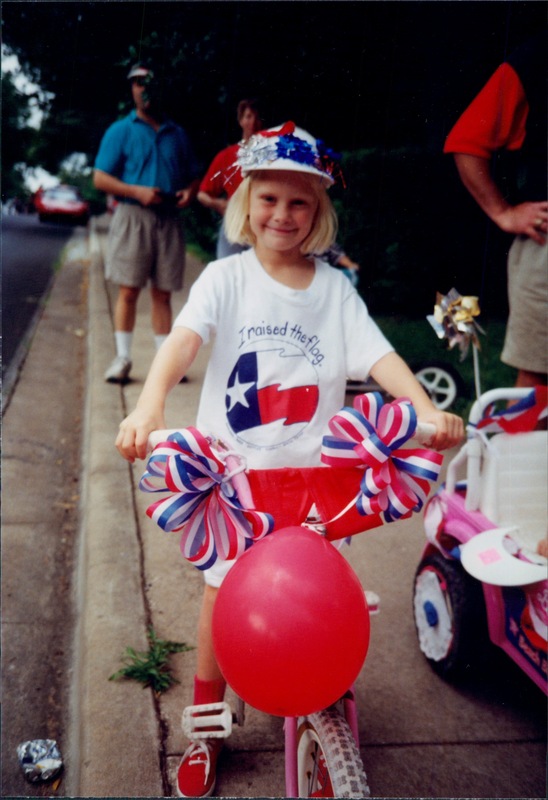 So instead of the usual post, today I leave you with a Happy 4th of July and a hilarious throwback photo from me at the Tarrytown 4th of July Parade in Austin! I hope you all have really enjoyed your long holiday weekend! I’ll be back tomorrow with a regularly scheduled EDIT, but in the meantime, be sure to check out THE SHOP for a bunch of great new items! Ohhh nooo this sounds horrible! Happy 4th anyway!